Young Nudy unleashes the remix to his hit "Zone 6." Atlanta has been consistent in developing the hottest rappers in the game for years now. Obviously, there are a few other hotbeds around the world that seem to churn out talent at an alarmingly quick rate but nothing quite compares to Atlanta. It seems that every cool artist comes from ATL these days. At the forefront of the entire operation has been Future, who is joined by names like T.I., Gucci Mane, Migos, and others in shaping the culture at the top. 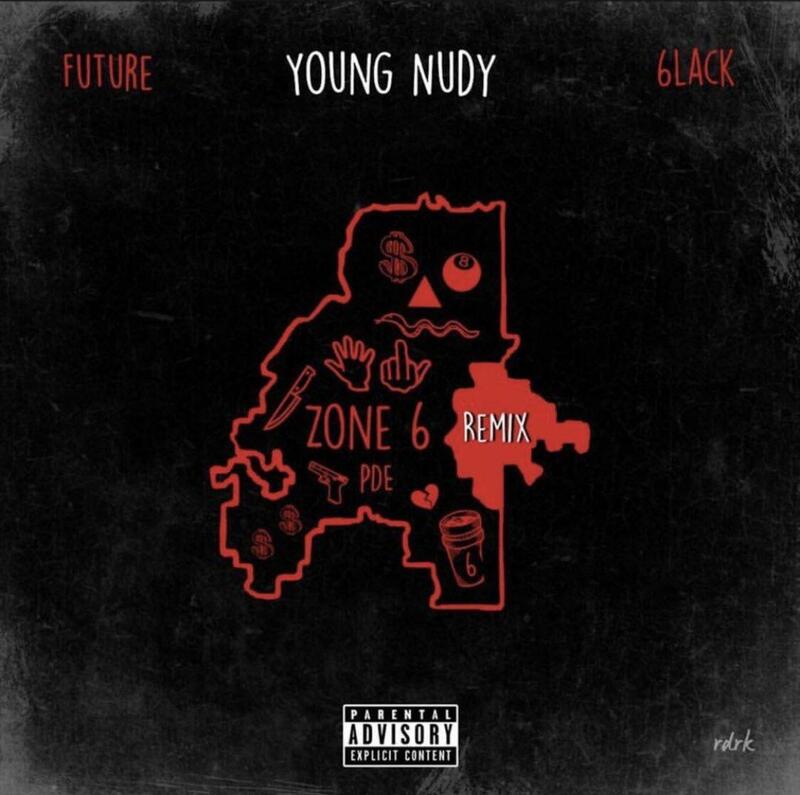 Others who have always shown love to the city are 6LACK and Young Nudy, with "Zone 6" popping off right now. To celebrate the success of the track, Nudy decided to get both Future and 6LACK on the remix to show some major love to East Atlanta. Available now in select international markets, the remix to "Zone 6" from Nudy's Slimeball 3 has been shared with the world. The song has been one of the most popular from Nudy's recent project and he's making sure to capitalize on the success by going all out with the remix. The song is a veritable anthem that you can guarantee will get ATL jumping, much like the rest of the trio's music. Listen to the remix below and chime in. Trey Songz Enlists Superstar Cast Of Ty Dolla $ign & Tory Lanez For "Shootin Shots"